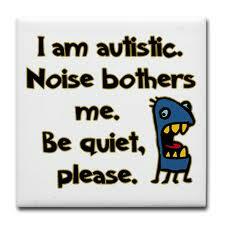 My youngest who is aged 7 with autism hates the thought of socialising at birthday parties and other similar events. Just the mention a friend’s birthday party invitation brings the little mite out in beads of sweat, making sure we understand that he’s not going to the party under any circumstances “send them a text now and tell them I’m not going, do it, do it now before it’s too late” is what we’ll get. Before he was diagnosed with autism we just put it down to extreme shyness and nervousness, the hubbub of screaming kids, balloons popping and the happy birthday song were all too much, and the few parties we did attend saw us leaving early, and I mean early, usually before everyone had arrived. As it happens most people understand why he doesn’t enjoy the situation and usually left with a party bag and a balloon. The only party that I’ve seen him enjoy was a soft-play activity area, he was agitated before we arrived but once we were there settled down, maybe it was because he could crawl into a ball pit and get away from the other kids? It’s difficult to say but we were relieved that he got some enjoyment out of it. A family get together is a completely different affair. Not so long ago he would spend the entire occasion watching TV in his bedroom and having food hand delivered on demand until it was time for bed. Now it’s a complete change around, and almost looks forward to the occasion as long as it’s been organised by one and only, going through the fine detail of the arrangements over and over again with military precision. Every detail has to be spot-on and no surprises, surprises are not welcome and don’t go down too well with most autistic children. We’ve just come to a conclusion that children’s birthday parties are not his scene and he doesn’t feel left out or sad, in fact it’s a huge relief and does not miss them at all. Full time Employee, Affiliate and Father of 2 boys, eldest has type 1 diabetes and the youngest has left sided Hemiplegia and Autism. I'm also the editor of VoucherBuddy.co.uk a popular website offering free voucher codes.